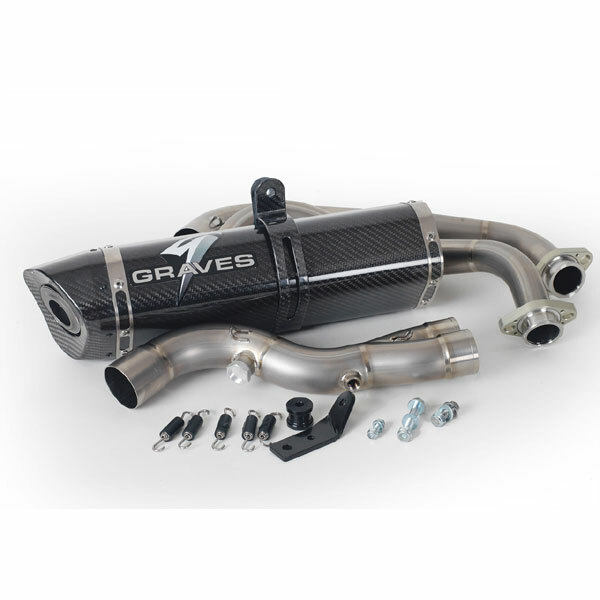 Graves Motorsports Full Titanium Exhaust System for the 2015-2017 Yamaha FZ-07 / 2018 MT-07 with carbon fiber canister. GMS Exhaust systems are designed for the elite rider seeking top of the line performance, fit, finish and value. This FZ07/MT07 exhaust system was developed using the same technology that has powered Monster Energy Graves Yamaha riders to 6 consecutive Moto America / AMA Superbike championships along with numerous 600cc titles This product is intended for closed course competiton use only. Use of this product for any other purpose is strictly prohibited.